It's a well know fact that potty training is no easy task. Every child is ready to potty train in their own time. Potty training is not a project to be forced-- it should be done in a nice, relaxed technique. With these 9 easy potty training tips you can easily have your daughter potty trained in no time! The first tip to successfully train your daughter is to watch her for signs she is ready to train. 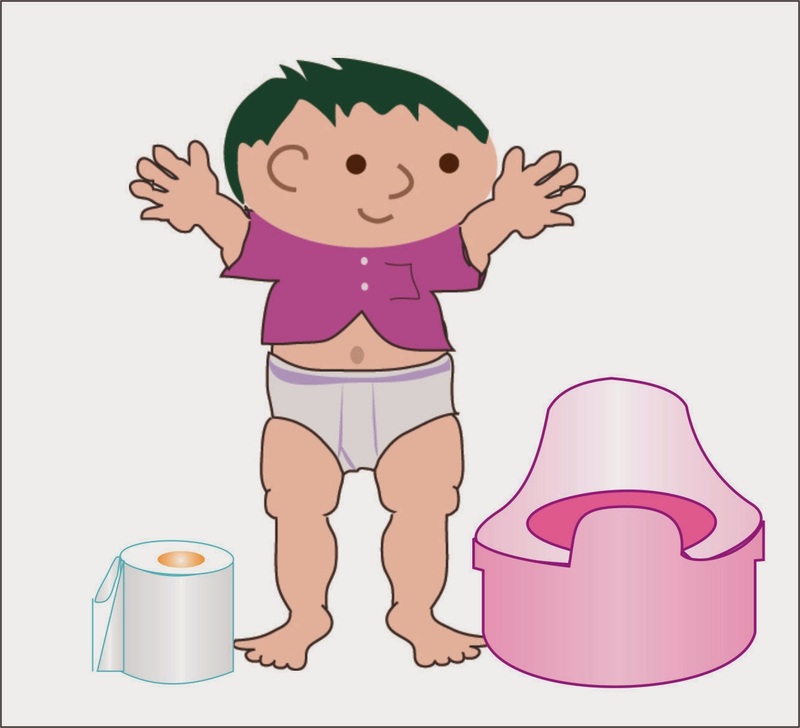 Girls are usually ready to potty train around 22-30 months of age; however, every child is different. Your child needs to be ready physically and emotionally. One sign to watch for is if your daughter maintains a dry diaper for at least two hours at a time. Waking up after naps in a dry diaper is also a good indication your daughter may be ready. Start paying attention to your daughter's bowel movement. When the bowel movement begins to steadily occur at the same time everyday, it's a sign she is learning to control her body functions. A good tip for potty training success is to choose the right time and environment to begin the process. You want your daughter to be in a stable environment. It's not a good time to begin potty training if there is moving, traveling, guests, remodeling, or new births. You want the environment to remain calm and stable. Stress has shown to delay the potty training process. This is probably the most important tip of all--keep the experience positive! The more positive and upbeat you are about the experience, the more likely your daughter will want to join in. Offer a lot of encouragement throughout the entire process. Be very supportive of your daughter, after all, it is a difficult process for her. Most of all, remain relaxed throughout this frustrating process. Prepare your daughter for what's ahead. Explain to her the importance of pooping and peeing in the potty in terms she can easily understand. Explain the concept and process of using the toilet. Let her know it is part of growing up and she is now becoming a "big girl." Prepare your daughter for the toilet. Toilets are often frightening to young children because of the loud noise made from the flushing. Explain to your daughter how the toilet works and how to use it. Let her flush the toilet to get use to the way it sounds and works. Make sure your daughter is comfortable while sitting on the toilet. She shouldn't be hesitant. Make her feel safe. Children are often afraid of being sucked into the toilet when it flushes. If she is afraid of falling in, reassure her. Dress your daughter in clothing that is easy to remove. Try clothing with elastic waists or Velcro instead of zippers or buttons. Pull ups are often easy for children to use. Avoid using difficult clothing, such as overalls and one piece outfits. Explain to your daughter the importance of wiping from front to back. Using this wiping technique reduces the risk of bacterial infections. If she is unable to perform wiping correctly, teach her to pat her self dry with toilet paper when she is finished using the potty. Do not punish her under any circumstances. Never embarrass her about the potty training experience. Never verbally or physically force potty training on your daughter. By following these simple steps you can easily have you daughter potty trained in no time at all. Most girls are fully potty trained around the age of 36 months. Relax and enjoy the experience. And remember, accidents happen. What are some tips you used to potty train your daughter?